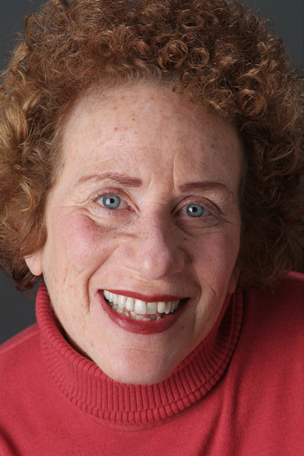 Joan Mankin’s (Egeon/Angelo/Pinch) most recent roles include: Gertie in Fuddy Meers at Marin Theatre Company, Lady Boyle in Superior Donuts at Theatreworks, Mrs. Gottlieb in Dead Man’s Cell Phone and Bell in The Fantasticks at S.F. Playhouse, Sylvia in Tales of Graceful Aging on the Planet Denial at Ashby Stage, Miss Prism in The Importance of Being Earnest at Marin Shakespeare Company, Snug and Philostrate in A Midsummer Night’s Dream at California Shakespeare Theater, Henny in Bosoms and Neglect at the Aurora Theater, Bobchinsky in Government Inspector at ACT, and The Mother in Black Rider at the Ahmanson Theater in Los Angeles. Joan has been a company member of the SF Mime Troupe, Lilith Women’s Theater, the Dell’Arte Company, and the Pickle Family Circus. She is on the faculty of the SF Circus Center, and spent five weeks in China in 2008, teaching clowning to professional acrobats.